(6″ square serves 6-8) Two layers of UltramoistTM chocolate cake sandwiched and frosted in a vanilla buttercream. 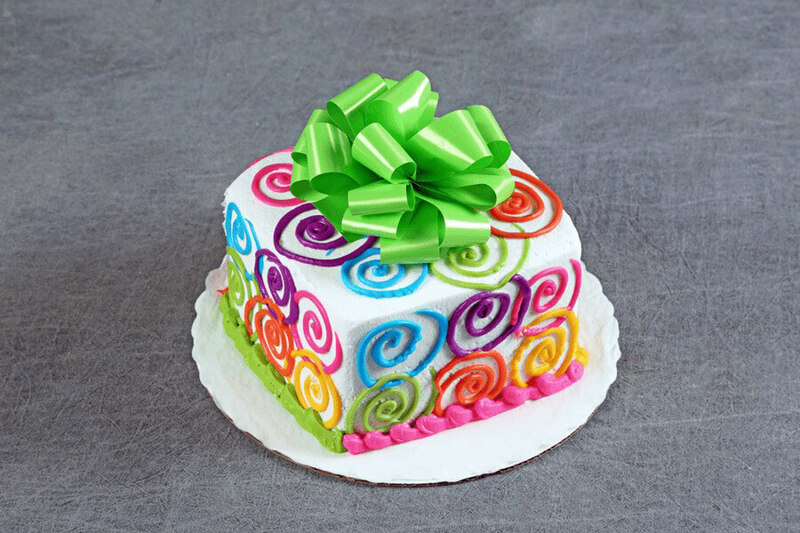 It is decorated with neon colored swirls and paper bow. Bow color varies.